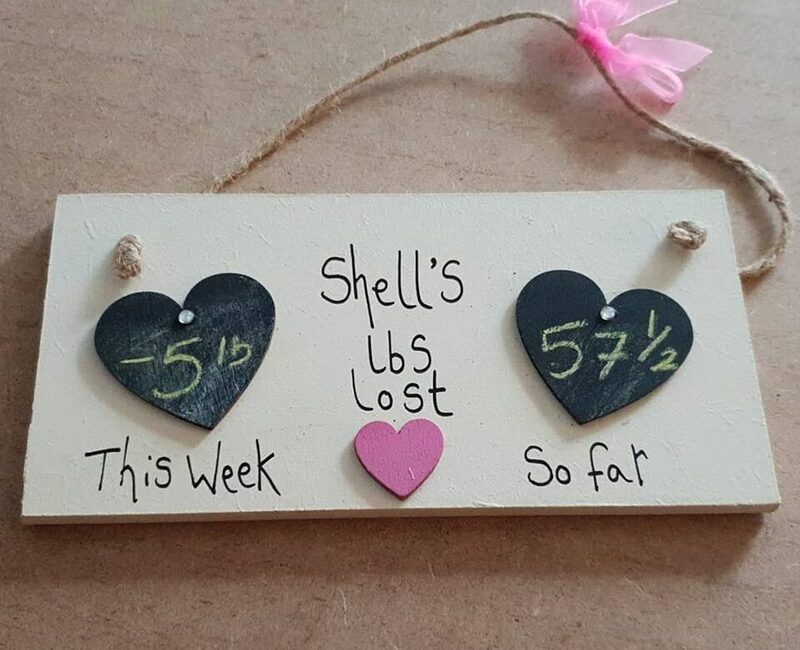 Here’s my January update for my Slimming World journey. I’m very pleased with my Slimming World results so far this year. It’s the first January in a few years where I’ve continued to be determined to carry on right through the month. I put 1 stone 8lb on from the middle of November last year through to the start of January this year. My mind wasn’t in the right place to try my best and I took target to have a break for a while. All Slimming World members got new packs this year because some changes had been made to the plan. Every Slimming World member will tell you how important our shinies are to us; (shinies are the stickers we get with our achievement certificates) and when we get new books, we get new stickers. I’ve had all awards up to my 8 and a half stone award, but I decided to only put back the stickers I was entitled to now for my current weight. I’d really like to lose another stone in February so I’m going to go for it and try my best. As my consultant says, reach for the moon and if you don’t make it, you’ll still fall among the stars, or something like that anyway!